Destiny access to the school library catalog as well as ebooks. World Book online trustworthy and understandable educational content. Britannica School a safe, vetted, and age appropriate resource for students. Info Bits research database and reference books. 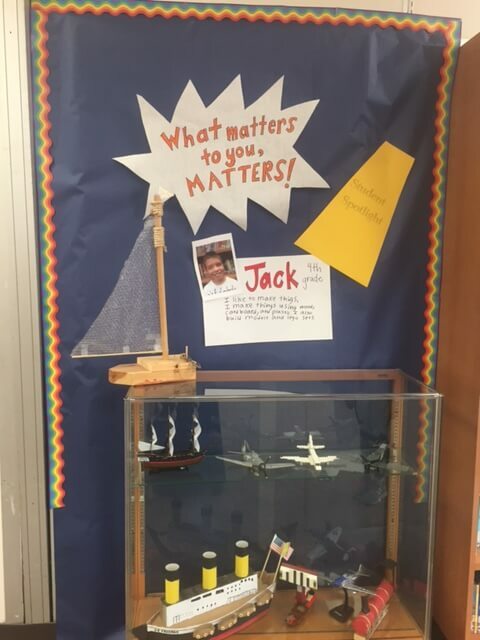 Our first What Matters to you, Matters Student Spotlight is in the Media Center ready for you to check out. Jack is a 4th grader who loves to make things. He uses wood, cardboard and plastic. He also builds models and Lego sets. He brought in a collection of airplanes, boats, and trains that he has built. If you would like to share a craft, collection, or talent in the Media Center contact Mrs. Freeman to sign up. 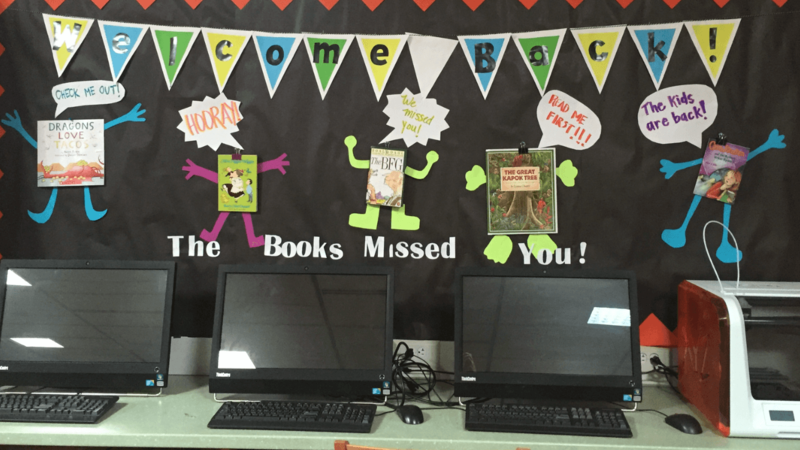 Everyone is so excited for the new school year…especially the books! 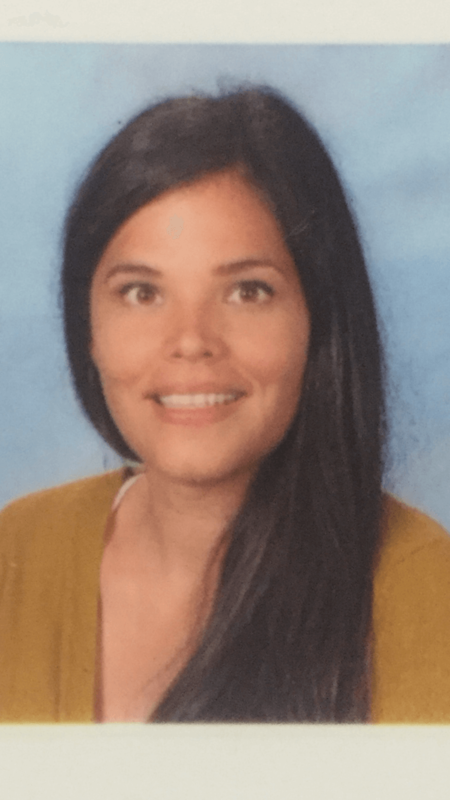 Hello, I am Dina Freeman, the Library Media Assistant at Ocean Knoll. I have been the LMA at Ocean Knoll since November 2015, prior to that I worked as a kindergarten aide and playground supervisor. Welcome to the Ocean Knoll Media Center website.